This afternoon I received a response from Stacy D. Allen, who is the Chief Ranger at Shiloh National Military Park, regarding their photo exhibit on Andrew and Silas Chandler. As I indicated in the post I never had any doubt that I would receive a response as well as an indication that the necessary changes would be made. We greatly appreciate you contacting us concerning the Andrew and Silas Chandler photo exhibit at the Corinth Civil War Interpretative Center in Corinth, Mississippi, in conjunction with the continuing research you are performing on the relationship of Andrew and his slave Silas. Attached is a proposed rewrite I have drafted to replace the incorrect text accompanying the Chandler image on display at the Center, to more accurately reflect Silas’ service as a slave with his master during the conflict. Please feel free to comment on the proposed draft. We would be most interested to know if your research into the master – slave relationship of Andrew and Silas has discovered whether Silas was or was not present with Andrew at Shiloh? I looked over the proposed rewrite and can report that the necessary changes were made to reflect their relationship as well as the type of pension that Silas received in 1916. While Silas indicates in his pension that he accompanied Andrew on August 8, 1861 I cannot confirm that he was present at Shiloh. Of course, I will keep them updated as my research progresses. Special thanks to Stacey Allen – a top-notch historian in his own right – and the rest of the staff for giving this the attention that I believe it deserves. It’s a testament to the hard interpretive work that they do on a daily basis. Good for him! Still, I wonder if the photograph should be there at all, particularly since we don’t know if Silas was even there? I can’t speak to the interpretive scope of this particular exhibit. However, Silas and Andrew were from Mississippi. Stacy Allen was our tour guide when CompuServe Civil War Forum visited Shiloh. He’s a wonderful guide & a first-rate historian. I’ve heard nothing but the best about Mr. Allen. You must be a REAL Big Wig to get the Parks service to bow to you so fast. I don’t think it has anything to do with being a “Real Big Wig”. 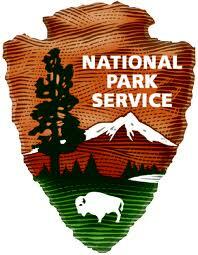 Rather, the NPS has simply acknowledged an innacurate description based on the relevant evidence. I simply provided them with additional information. Thanks for your concern. It helps to be right, repeatedly. Next post: How Does This Fit Into the Lost Cause?